This summer I enjoyed a vacation with my best friend and her crew. She has 3 children and I have 5. We went every where together for many years dragging all 8 kids in tow, including many trips each summer to the beach. Traveling is different now. The kids are grown and many of them have kids. Fun, right? This is Kay’s second child, first son and his precious family. I wanted to give each of the families a quilt that I had made and I knew this one was perfect for the Mayor family. 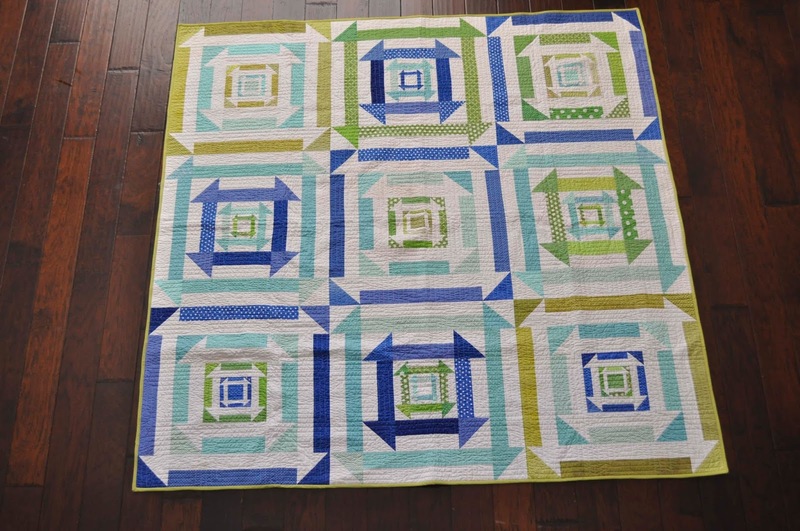 I love the big graphic feel of this quilt but the symbolism was also perfect since it is 4 monkey wrench blocks nestled inside each other. Bubba and Miranda have 3 girls but at the time were expecting their 4 child, a boy!! I thought Bubba could use a little blue in his life with all those girls around. 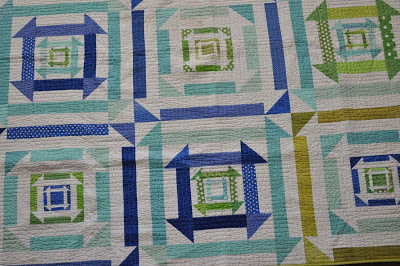 This design is from a quilt-along with Jane Davidson, of quiltjane.com. While on vaca, I wanted a picture of the family with the quilt. Mom was so cute and did not want to get the quilt dirty or sandy. I told her my quilts are made to use, build forts, and drag on picnics. But the very best thing is to take brand new baby pictures on them. As Granny Kay says, my cup runneth over. Little baby Wyatt is here and all those girls are going to spoil him rotten. So sweet and such wonderful memories captured in these photos. What a sweet post! The quilt is beautiful, but the thing that really shines here is your love for this family. “Family” is everything, isn’t it? 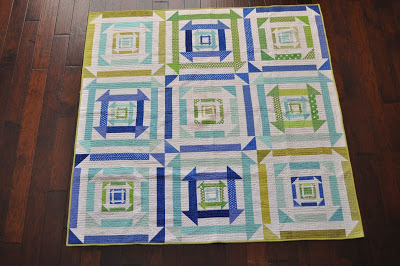 I love the quilt and the story behind it! Thank you so much for sharing this. The quilt is beautiful, but the story behind it makes it even more beautiful. I love all the thoughts and love you put into it and especially both photos with the family and their new blessing. YES… our quilts are to be used, which is why I no longer make big quilts, just the cuddle under size. I find that if I do this people will pick them up and use them. This makes my heart sing. Beautiful quilt, and such a lovely story, too. 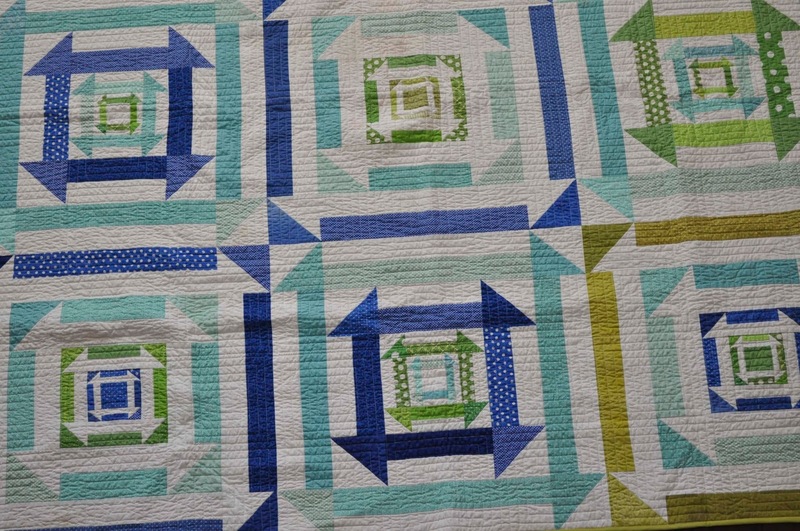 So fun to hear the background on this quilt.